Strategic Cell Migration™ is Flinchbaugh’s unique version of a manufacturing line transfer, where an entire work cell — including machinery, tooling, and test equipment — are transferred from the client’s manufacturing facility to Flinchbaugh’s campus in York, PA to deliver an on-time, reliable supply of quality parts. Strategic Cell Migration™ leverages lean six sigma manufacturing principles to create a cost-competitive outsourcing solution for manufacturers of complex quality critical metal components. Before you decide to migrate your manufacturing process, we complete a detailed due diligence process to understand every aspect of the cell and the parts it produces. A manufacturing cell is more than just machinery and moving parts – it’s the brains and the hands of the production workers and engineers. Over time and through trial and error, your internal teams developed specialized insights, practices, and time-proven processes essential to delivering repeatable quality. Not even the most elegantly prepared blueprint adequately captures this essential component of the manufacturing equation. Strategic Cell Migration™ values this institutional knowledge; as part of our due diligence, we work with your team to fully understand how the cell works. For the actual migration, we will deploy a team of maintenance engineers to supervise the disconnection, loading, unloading, and reconnection, so the migration is efficiently orchestrated and completed. 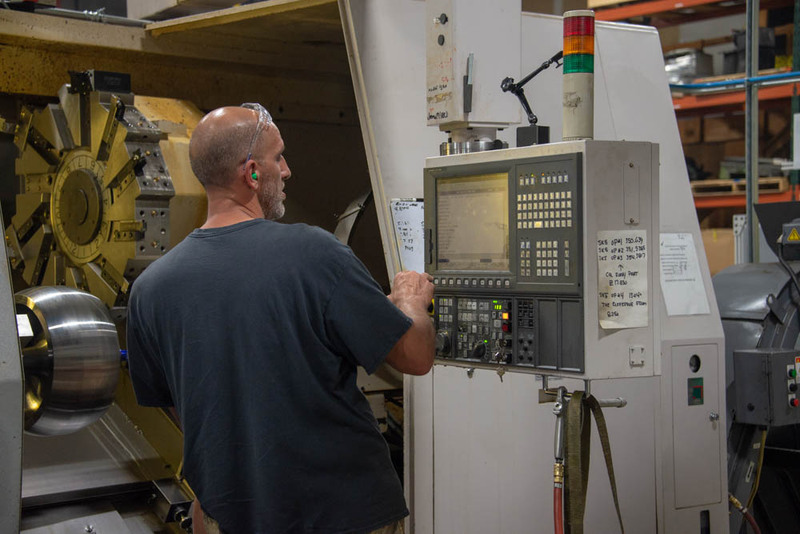 Machine tool rebuilding and Total Productive Maintenance (TPM) are among our core competencies, so older machines are restored to deliver quality, productivity, and repeatability. Once your cell is operational at our facilities, it operates in a 24/7 nonunion, employee-owned environment according to the disciplines of Lean Manufacturing. What is a Line Transfer? 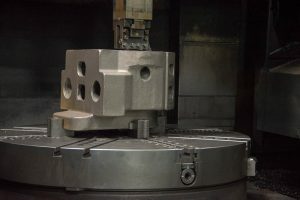 With a line transfer, your machine tools and shop knowledge are transferred to a Flinchbaugh facility to produce your parts using the same tooling, CNC programs, and time-proven processes as you, so you’re getting the same product you produced in your facility offering a low-risk solution to traditional outsourcing at a lower cost. Your existing set-ups establish baseline operating parameters, and will then be refined through lean manufacturing continuous improvement initiatives. Flinchbaugh wrote the book on line transfers and maintains a thoroughly documented step-by-step process for execution. What are the benefits of a line transfer? The primary benefit of a line transfer to Flinchbaugh is a low-risk alternative to traditional outsourcing enabling the realization of business level strategic objectives. Typical cost savings are 20-30% for complex parts and projects versus in-house production. A trouble-free startup is assured because of the transfer of production assets and know-how to Flinchbaugh where experience acquired through over 21 successful line transfers ensures the highest quality and productivity. Capital and floor space in your facility can then be redirected to strategic objectives and activities that create higher value for your business. The bottom line is – line transfers work for metal manufacturers. For more information, take a look at 10 reasons why Strategic Cell Migration is the smartest solution to today’s challenging manufacturing issues.